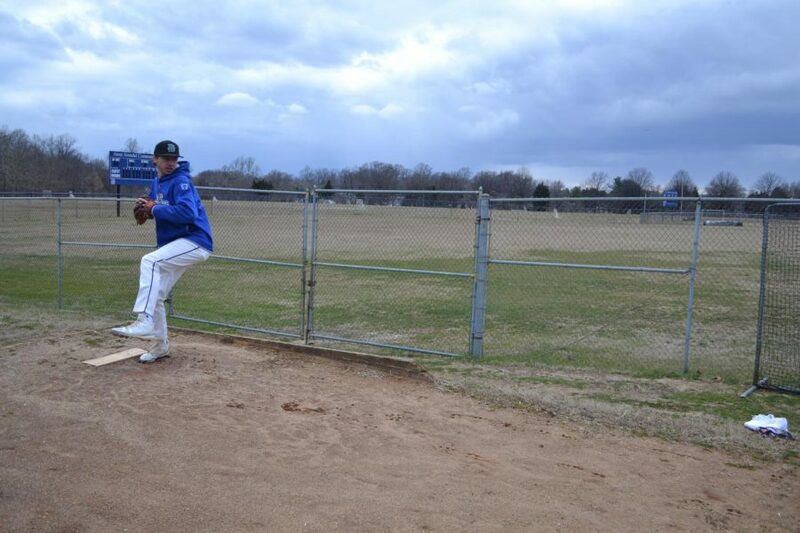 ohn Iaquinta, a second-year business administration student and baseball pitcher, prepares for the 2019 spring season. AACC Men’s Baseball players and head coach expressed their high hopes for the upcoming season. The Riverhawks’ first two games are at home against Suffolk Community College on Feb. 16. The team’s season ended last year after a 7-6 loss to Community College of Baltimore County Catonsville. The team finished 2018 with 18 wins and 23 losses. The team “had a great relationship last season,” Iaquinta said. The team added some new players, including first-year pitcher Caleb Musco, first-year infielder and transfer studies student Cameron Urlock, and criminal justice student and Catonsville transfer Brendan Diluca. “We have quite a few guys who are really good athletes,” said coach Chris Jenkins, who is going into his third year as Men’s Baseball coach. “We are a lot deeper at our infield and outfield positions,” Jenkins said. “We have the same goal every year, and that’s to win our region,” Jenkins said. Other players agreed that their biggest issue is not having enough pitching depth.